Red Hill Council is a partnership with the Bureau of Land Management to plan, construct and manage trails that offer users a positive outdoor experience, balanced with protection of Red Hill through good stewardship, volunteerism and promotion of good user ethics. This mission is supported by the following actions.  Advocacy for sustainable use of public land.  Providing a forum for two-way communication receptive to various opinions.  Managing use volume and addressing consequences thereof.  Advocating civility by all users.  Engaging in and playing a major role in trail and resource planning efforts.  Designing, laying out and constructing new trails using volunteers, partners and other organizations. 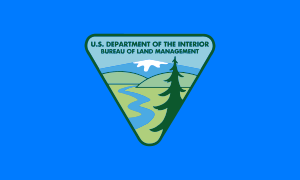  Working with BLM to monitor the resource and respond to negative impacts.  Conducting periodic public workdays/evenings which address maintenance, construction, cleanup, drainage, signage and other needs.  Work with BLM to ensure that Red Hill remains accessible to the public as a valued resource.  Fund-raising to support the work of the Red Hill Council.  Building a membership base to support the organization’s mission. 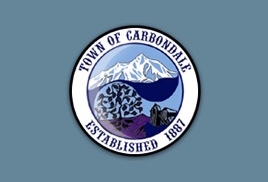 In 1996, a group of local citizens met with representatives of the Town of Carbondale, BLM and area residents to discuss the existing and possible future uses of the 3,000 acres of public land immediately North of Carbondale, Colorado known as the Red Hill Area. This group evolved into what is now known as the Red Hill Council, a private nonprofit organization that works with BLM to plan, construct trails, manage and maintain the Red Hill Area. The Red Hill Council became a private nonprofit 501(c)(3) in 2000. The organization can have up to 11 members on its Board of Directors. Special skills are not required to serve on the Board other than a passion for trails and serving the community. Establishment of the area under a non-motorized designation. Winter closure of the North Side of Red Hill to bicycle use for wildlife protection. Prohibition of surface occupancy for mineral extraction. A restriction for bicycles to stay on designated routes. Execution of a Memorandum of Understanding between BLM and the Red Hill Council. Construction of approximately 19 miles of trails.